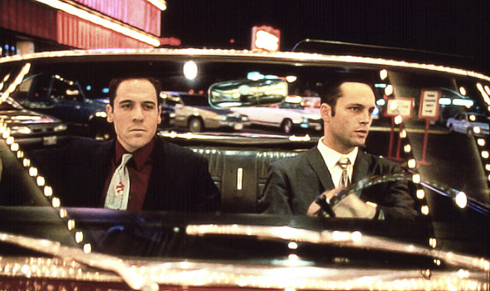 It's the famous quote Vince Vaughn shouts to Jon Favreau in Swingers, as they drive into Las Vegas for a night of unabashed fun and adventure. Who can blame them? It's "Vegas baby, Vegas"! I'm hoping to create some hilarious and random memories of my own when heading back to the Vegas with my friend Andrea at the end of November. I was last in Las Vegas in 2005 just weeks after turning 21. Now 24, I'm going back to a whole new Sin City with a bit more knowledge, and a lot more on my list to do. My friend Andrea and I are staying at the MGM Grand for starters, which is a nice upgrade from the first time around. We'll also be making the trip out to the Hoover Dam and taking in a Cirque du Soleil show. We got a kick out of just exploring the strip and casinos back in 2005, which essentially made it a lot easier to narrow down exactly what we wanted to do this time. It was a rush then, and with a bit more money in my pocket and a general upgrade in everything we plan on doing I know it's going to be even more awesome now. In my adult travels this is the first time that I'll be heading to the same vacation spot twice. It'll be cool to see how much things have changed, which in Vegas doesn't take long and I know that since being there the Stardust and New Frontier have both been imploded (you can see the signs in my video below). As per usual I'll have my camera with me again to capture the highlights. I can't wait! Below are the 4 edits I put together from the 2005 trip.